Another day in the sun? 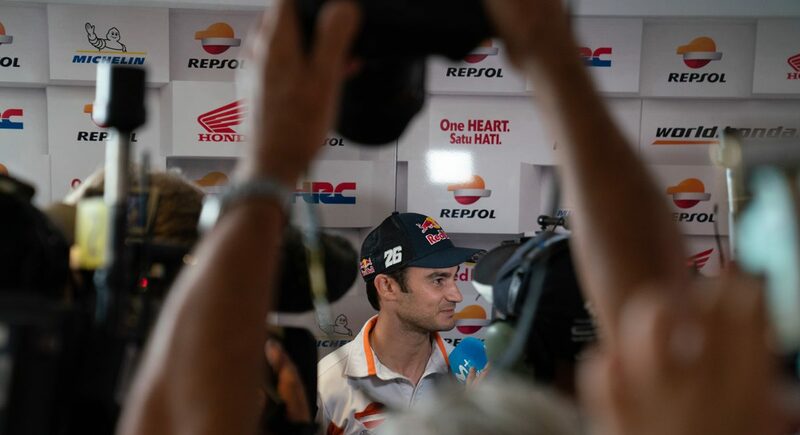 Should Dani Pedrosa stay or go? 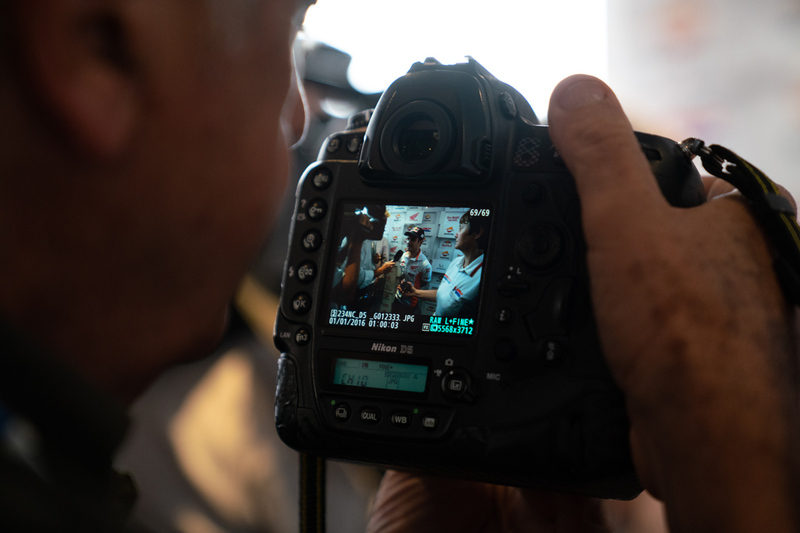 How long is too long in the MotoGP paddock? Should older riders be kicked out to make way for fresh young blood? Or is experience vital to the development of what are now incredibly sophisticated racing motorcycles? The answer, it seems, depends on the name of the rider currently under discussion. Nobody (well, nobody who knows anything about racing) is seriously discussing whether 39-year-old Valentino Rossi should be kicked out of the Movistar Yamaha team. He is second in the championship, has four podiums from the first six races, and is currently the best of the Yamaha riders. Contrast that with Scott Redding, 25, or Bradley Smith, 27, who both stand to be displaced from MotoGP at the end of the season, if they can’t find a ride. Redding is on the ill-fated second Aprilia, but has experience with three different MotoGP manufacturers. Smith is feted for his development abilities, and finished top independent rider in 2015. Yet both will probably be gone at the end of the year. Or…consider Dani Pedrosa. Especially hated by American fans, for an ill-timed pass in his rookie season which took out Nicky Hayden, for which Pedrosa apologised, and for which Hayden forgave him, especially as he went on to win the world championship that season, 2006, anyway. Even outside of the US, Pedrosa was much maligned. Fans called him boring, and a waste of a factory seat, calling for him to be replaced each time his contract was up. He was the rider who never managed to win a MotoGP championship, despite being on the Repsol Honda, arguably the most coveted seat in MotoGP. His teammates managed to become champion on that bike, so why hasn’t he? Those ‘fans’ are finally going to get their way. The arrival of Alberto Puig as manager of the Repsol Honda team meant the end of Pedrosa’s tenure in the squad, Puig having a score to settle after Pedrosa had sacked him as his personal manager. Jorge Lorenzo is to take his place alongside Marc Márquez, while Pedrosa is left to look for a job. He may find it with the newly-to-be-formed Petronas-backed Sepang International Circuit team. That Petronas/Sepang squad will have Yamahas at their disposal, and while Franco Morbidelli will likely take one seat, Dani Pedrosa could well be the rider on the other bike. Does Pedrosa deserve it? Or should he, as some fans and one prominent team manager told me, be put out to pasture at the grand old age of 33 (by season’s end)? There is no doubt in my mind that Dani Pedrosa is still one of the best riders on the grid, and among the best riders of all time. He is probably not Valentino Rossi or Giacomo Agostini, Freddie Spencer or Kenny Roberts, or even Marc Márquez or Jorge Lorenzo. But he has 54 Grand Prix victories, as many as Mick Doohan and more than Phil Read, Casey Stoner, or John Surtees. He has 31 premier class victories, more than Freddie Spencer, Kenny Roberts, Wayne Rainey, or Kevin Schwantz. 30 of his 31 victories have come by beating Valentino Rossi. He has beaten Marc Márquez 9 times, and Jorge Lorenzo 25 times. He finished runner up in 2007, 2010, and 2012, and could have been champion in 2012 if it hadn’t been for a mechanic accidentally melting a tire warmer onto a carbon brake disc, forcing him to be taken off the grid at Misano. The main criticism aimed at Pedrosa is that he never managed to win a title on the Repsol Honda, whereas his teammates did. This is both slightly inaccurate, and grossly unfair. Sure, Pedrosa failed where Nicky Hayden, Casey Stoner, and Marc Márquez succeeded, all of them as his teammate. But when he had Andrea Dovizioso as a teammate, from 2009 to 2011, he finished ahead of him every year except 2011, when he missed three races after breaking a collarbone at Le Mans, where he was knocked off his bike by Marco Simoncelli. Nor is Pedrosa unique in not winning a title on a Repsol Honda. Max Biaggi, Tohru Ukawa and Tadayuki Okada all failed to bag a championship in that team. 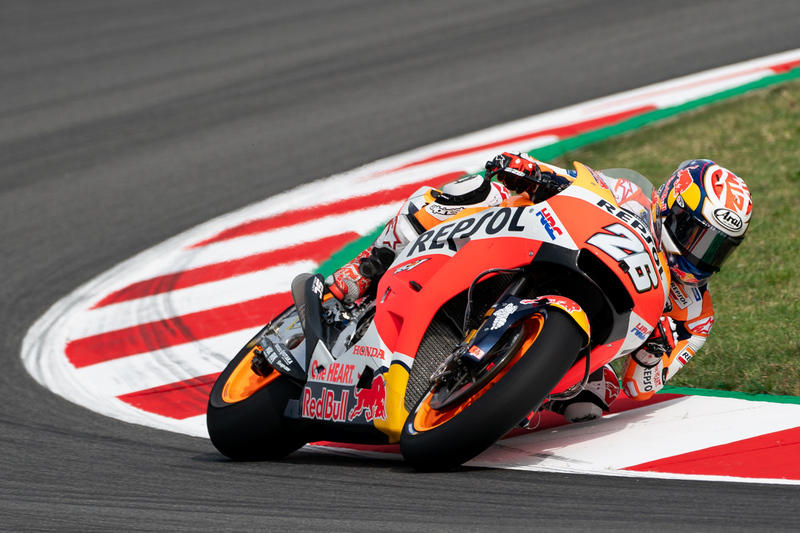 And in Márquez and Stoner, he has had two of the top four or five best racers of all time as his teammate. Cal Crutchlow always says that if Pedrosa had been on a Yamaha, he would have had multiple titles by now. Even Yamaha racing boss Lin Jarvis wants to see Pedrosa on a Yamaha. “I’ve always been personally very curious to see how Dani would go on a Yamaha,” he told Simon Crafar in Barcelona. He even went so far as to nearly sign Pedrosa instead of Maverick Viñales in 2016. So Pedrosa haters, know this: You are wrong. Dani Pedrosa is still a formidable rider, and can beat anyone on the grid on his day. If anyone deserves a seat in MotoGP, it is him.